"My drawings at first were made altogether in watercolors, but they wanted softness and a great deal of finish." J. J. Audubon, engraved by H. B. Hall, based on a painting by Henry Inman. Engraving from The Life of John James Audubon, the Naturalist, edited by his widow. New York: G. P. Putnams' Sons, 1894. 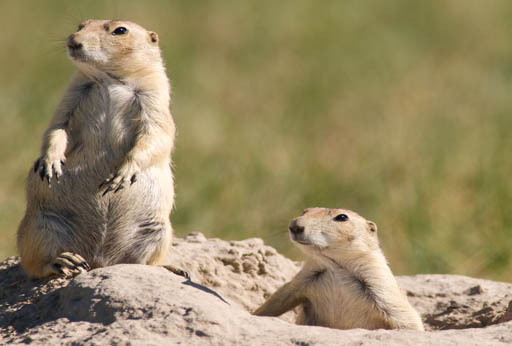 Fort Collins Senior Center, 1200 Raintree Dr.
Social Time: 7 p.m.; Program 7:20 p.m.
Prairie dogs are an ecologically important component of the short grass prairie. They are listed as a keystone species; meaning, that they influence both living and non-living components of the ecosystem. Without them, other species and ecological processes suffer, and currently, their numbers are critically low. Species that are impacted by their decline are: burrowing owls, ferruginous hawks, mountain plovers, and many more! Prairie Dog Coalition of The Humane Society of the United States (PDC) works to preserve these important species not only for the current health of the prairie, but for generations to come. Kristen Nelson and Katherine Jordan of the Prairie Dog Coalition, will be giving a presentation that will briefly discuss characteristics of prairie dogs and the many myths and situations that have led to their decline. Dialogue will also include how key bird species are connected to prairie dogs and how they are affected by prairie dog decline. Also to be discussed is what can be done to protect this eco-system that is supported and supports these different species. Kristen Nelson graduated with a bachelor’s in music therapy from Utah State University; however, her love for both social justice and animals led her to pursue a different career path. She obtained a Master’s in social work from the University of Denver’s Graduate School of Social Work with a concentration in conservation, community leadership, and animal-assisted social work. She completed a 2nd Masters of Science in Conservation Leadership at Colorado State University, looking into the social and psychological factors effecting people’s behavior toward wildlife, particularly prairie dogs. Katherine Jordan grew up in Lyndon, Kansas and served nine years with the United States Army. After leaving the military she went on to higher education and graduated with a Bachelor of Social Work from Washburn University in Topeka, Kansas. Currently, she is an intern for the Prairie Dog Coalition of the Humane Society of the United States and attends the Graduate School of Social Work at the University of Denver. Her concentration is Sustainable Development and Global Practice and she is completing certificates in Animal-Assisted Social Work, Equine-Assisted Therapy for Mental Health Professionals, and Equine Specialist in Mental Health and Learning. © 2014 Fort Collins Audubon Society. All rights reserved.